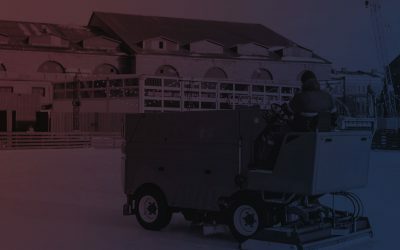 Clean the Ice is a guest post of Top 25 rankings. We’d love to hear where you think they got it right and wrong on twitter. Quality Win | Win over anyone in the Coach’s Top 25 Poll. #BeastMode is 10-0 with a big win over #HokieLax and dominating the boys from Dominican. Stoddard is 58% from the dot and Beattie is 60.7% in goal. No wonder the best offense in the MCLA has gone #BeastMode this season. Next up on the slate for them, games against Sonoma State & Stanford. Bears should be rolling into the WCLL playoffs 12-0. Sun Devils have taken a hiatus from challenging games winning their past three by a combined score of 64-19. They head into conference play with games against GCU & Arizona to finish the year. New HC Casey Connor has to be on the shortlist for Coach of the Year. ASU is above Liberty & GT due to high quality wins. We will take it completely personal if anyone thinks we are wrong. The Flames are on FIRE. #PlayWithFire now has quality wins and has set a floor which might be impossible to keep them out of the Natty no matter what happens the rest of the way. Consider our eyebrows raised at how close the Oregon game was, but Flames can settle that on the field this weekend with South Carolina this weekend. #RollHive was looking S-H-I-N-Y with those chrome lids and hot win over Chaptown. Now as the season has settled they have wins over two teams the coaches rank, but we don’t. Game v desperate Spartan team will have MASSIVE postseason implications. Since their 1-2 start #Chaptown is 7-0 with a lot of quality wins. Even the coach’s 8yr son is stinging G’s as the Panthers got out of practice early after he ripped a half field goal. #Chaptown faces off against CUI in a game of former coaching buddies going against each other. CUI needs this more than Panthers do. The #RedHotBuffs were one goal away from a SWEET victory over the Panthers. Sunday, they were playing for their at-large life and nailed it. Bogart has been shredding the MCLA ripping twine on the regular, but that got stifled on his sixth goal when his crosse was found illegal. Oops. Buffs need to hold serve the rest of the way and they will lock up a Top 6 seed. #RideHigh battles BYU Nation tonight for a chance to punch ticket to Nationals. Stangs were tied 8-8 in the 4th quarter with #Chaptown, but got beat 5-0 which also put an end to their five-game winning streak. BYU recently got a buzzer beater victory over ‘Zona. Grab the popcorn, this game might be 64 minutes long. So far the Gamecocks have been playing well and the 5-goal victory over #HokieLax is looking better each day. What were they thinking when they scheduled a 7pm game v. LSU on Friday and then a 3pm game in Lynchburg against #3 Liberty. #HouseThatHarkeyBuilt needs this W to maintain a Top 10 ranking. Otherwise, they and the teams they beat will be going the wrong way in April. The Eagles come home after going 1-1 in Colorado to take on #Chaptown. Playing with house money, they can gamble the farm and still get it back. Goalie Tyler Schweickert has stepped up his play after being at 33% & 38.1% in the two opening games. Improvement at the face-off X and this team could be dangerous with their offense. #HokieLax took care of business against pesky Ducks & Huskies. The only games standing out as truly Top 10 efforts was their three games in California. A win over Duke will really spoil things, oh shoot, wrong sport. This weekend is a big one. Wins cement ranking, losses move this team into freefall. #RollHogs is rolling alright. Sweeping through their OOC they now battle in conference opponents starting with Boston College. Senior Sam Stanton is 6’ 8”. We are all hoping for at least one air gait this year from this large human. With the postponement of Chico game, The Cardinal is going to be off for two full weeks before playing Santa Clara & California back to back. Win over the Broncos is required for Cardinal to have any chance at an At-Large. This ranking feels paper thin, hopefully, we bought Charmin which is proven to be better than the Grocery Store brand, according to Charmin. #BearDown might want to change their hashtag to #TeamWyatt. Hill is averaging 15 saves/game. Loss to BYU & USC hurting. Win over GCU is a must for any AL discussion. Given GCU’s success at the X, #BearDown will need to find a way to slow the Lopes down on offense, which hasn’t been their problem this year. #SCTop10 snatched a big win over the Lopes in a high scoring affair (19-18). Schedule heats up with CSU, CU, and BYU all coming to town. Finish their season 3-1 and they might be looking at AL consideration. #23 TAMU comes to town tomorrow. Must Win territory. Bolstered by GCU winning against Concordia the Broncos have been given new life. Losses to FSU & Fraser are painful, but with the Cardinal on the horizon and fresh off a win over USC, they are still in the driver seat. Broncos need 4 wins to make any noise to get back into the National discussion. Win over Concordia seemed to turn everything around but their loss to UVU was puzzling. Scoring 18 isn’t a surprise, Lopes offense has been rock solid all year, but the defense giving up 19. This loss burns more because they are now in complete win or go home mode. Poor scheduling left the Eagles with only one quality win OOC. Time to crush it in conference play to get back to the Top 10. Losses in conference will be the dagger that keeps them out of the National Tournament discussion. Well they had two games this weekend. They lost both. Only here because they have the highest quality win of the rest of the bunch. Need to get things figured out to make some noise in SLC playoffs. Washington | Win over A&M salvages the Texas trip. Colorado State |Going 1-3 in past four games isn’t getting it done. Need to win-out. TAMU | Here because they play UVU & BYU. 2-0 trip and they are right back in it. Indiana | Loss to Buffalo looks bad now after Buffalo’s trip to ATL. Will April Fools bring about some May Flowers? Games v. MSU & VT will tell. MSU | Defending national champs beat Minnesota and have played close games. Their next 5 feature 3 Top 10 opponents. Opportunity knocks, but they MUST answer. SMU | Early season loss to TAMU and to Sonoma don’t look good but win over Washington / TCU are solid. #RedHotBuffs visit. Need a competitive game and frankly a Where to stick around in this conversation. Clemson | Win over CSU means something. FSU & South Carolina games have massive implications. Is Orange better than Maroon? Sonoma | After starting the season 1-3 they are 3-1 in their last four. Win over Minnesota was nice. Loss to Concordia looks poor. Game v #BeastMode on April 6. Can they stir the pot? Florida State | Win over Santa Clara looked good but they are 4-5 with no other good wins. Must win against Clemson for any future consideration in the polls. Connecticut | #NoMoreDonuts face Boston College & UNH on April 7 / 13 respectively. These are must wins for AL consideration.